Last night I finished a book that I picked up by chance at the grocery store for $4 and ended up devouring it in 3 days! It was so good. It's one of those books that locks you in early and everything else in your life (laundry, cleaning, etc.) gets pushed to the side until you finish. Other than that, this week's a quiet one in contrast to last week's busy week. Let's start off this week with the unputdownable book I read last week. The Girl Before by JP Delaney is not new. It was released in early 2017, but when I found it on a bargain books rack at my grocery store, it sounded interesting enough, so I bought it for $4. 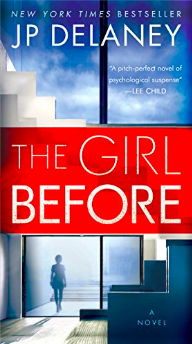 In an effort to de-clutter, I've been trying to read my printed books rather than ebooks, so I picked up The Girl Before and started reading it. Pretty soon I had found that 2 hours had passed and I hardly recognized it. Oops! I stayed up way to late reading over the weekend, but it was totally worth it. The main male character in this book reminded me of Christian Gray, very structured with singular tastes. But that's where the similarities end. This book is fast-paced and full of twists that you'll see coming. It's been a challenging Lent in our house this year. My husband and I gave up alcohol. Harper gave up soda and chocolate. Emma isn't eating bagels. So, I've been searching for something quick and easy to make for breakfast as well as a sweet snack as an alternative to chocolate. 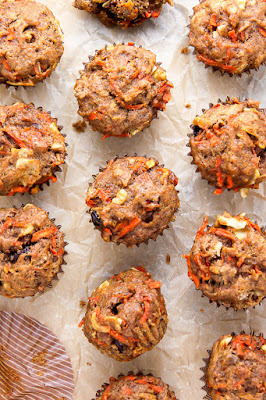 I found these morning glory muffins, and I can't wait to try them this weekend. With natural sweeteners such as raisins and coconut, we'll never miss the chocolate! I remember being at work in suburban Philadelphia at the time of the Oklahoma City bombing. You couldn't live stream anything back in 1995 so we had to wait until we got home to watch the coverage. I remember thinking how absolutely appalling such a premeditated horrific event it was. And then, I remember watching the convicted bomber, Timothy McVeigh's execution on live television several years later in 2001. I've always been intrigued by this act of terrorism because it was domestic in nature, carried out by defenseless U.S. citizens with the intention to kill fellow U.S. citizens. This PBS documentary chronicles the attack and events that led up to it as well as profiles McVeigh and his accomplices Terry Nichols and Michael Fortier. 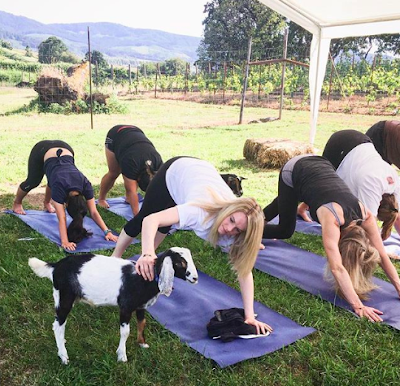 I've always wanted to try yoga with cats, and after seeing my niece post a picture on Instagram of her doing yoga with goats, it sealed the deal. Doing yoga with animals has legit benefits. Yoga is all about simplicity, getting grounded and balanced, and focus. Animals have a way of adding innocence to our world and remind us that there is a simplicity to be embraced. So, it only makes sense that yoga with animals is a solid thing and people are loving it. Don't believe me? Check out this article and then start Google searching for yoga with cats near you.